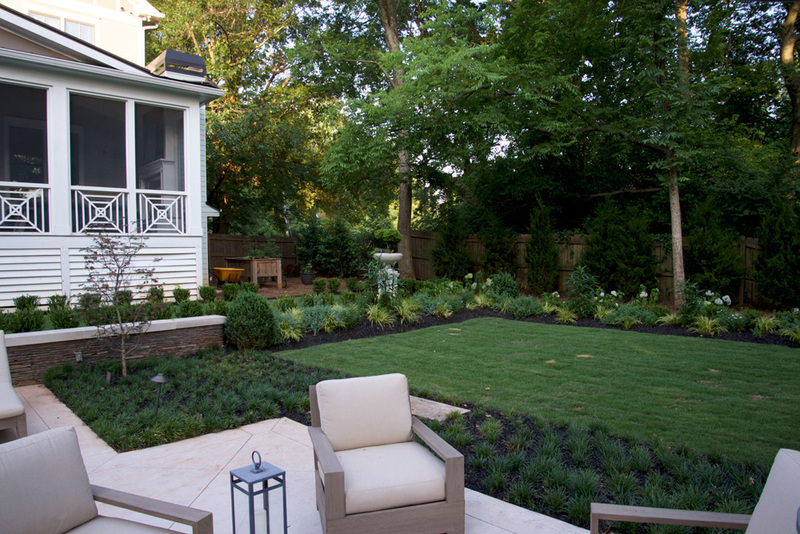 This East Atlanta home’s back yard now provides a retreat feel, with terraced areas for seating, dining and grilling. 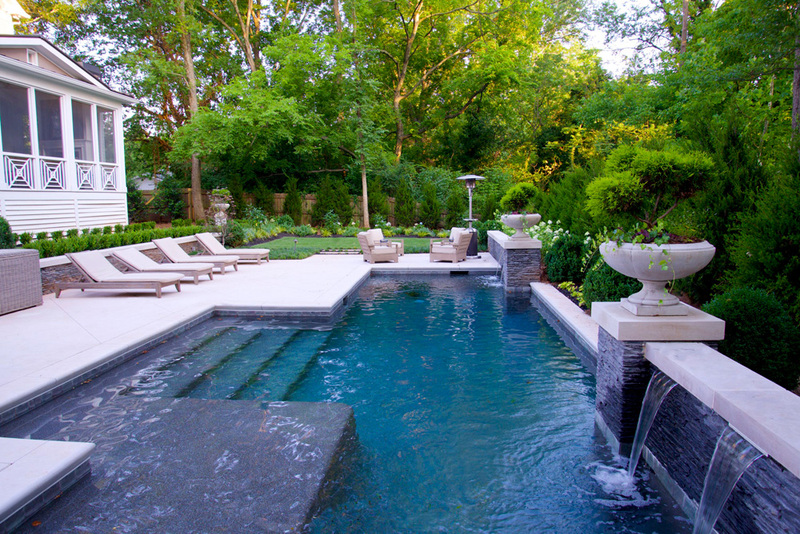 An enlarged pool terrace faces the private pool. 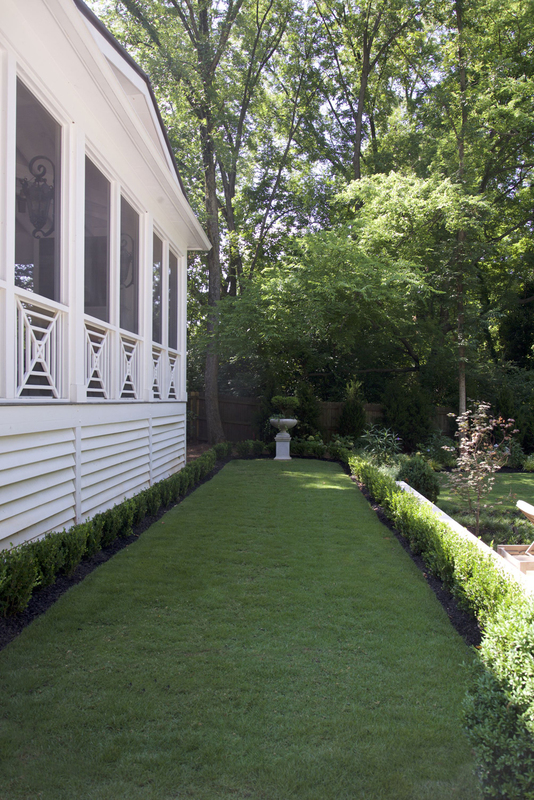 Cedars align the back yard creating a private oasis and backdrop to the contemporary pool and side lawn and cutting garden. 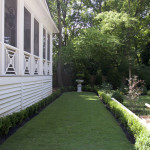 Thin stacked slate walls area accented with custom limestone caps with planter and spillway accents.